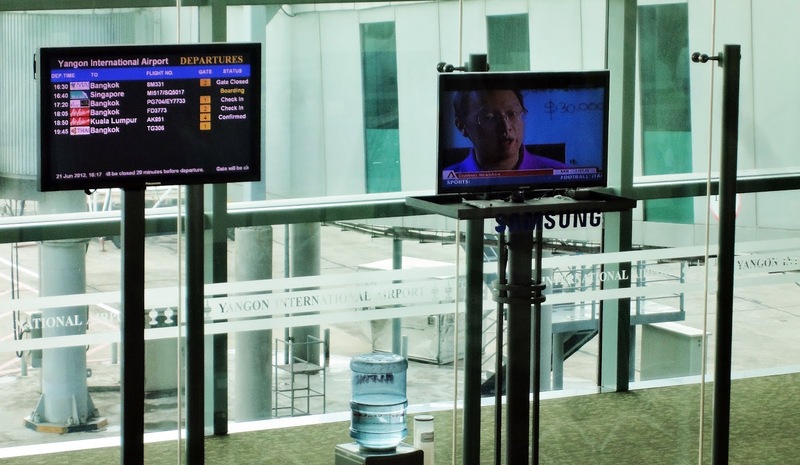 Yangon international Airport is a newer one in Myanmar which functions quite good only the immigration procedure is similar cumbersome as in Thailand and during the English colonial times. The Airport IATA code is RGN and it is located at Mingaladon township about 16 km north of the city center and two terminals the international and the domestic. 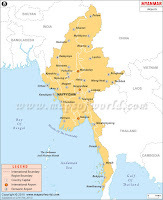 This two are the only international airports in Myanmar (Burma) are the only in Yangon and Mandalay. Be aware that the baggage allowance is not high so the best to do when air-travel is keep you luggage as minimal as possible and try to get everything into a back-back not heavier than 15 kg to carry on your body and to taken into the aircraft that way it cant be get lost and you wont have problems. In particular when on a tour in Myanmar and Thailand almost everything can be bought locally for low prices (cheap Chinese imports) and since low priced just just dump it when you leave and no overweight charges. If you buy anything heavy such as souvenirs or whatever let the seller do the packaging and shipping of the air freight they are tuned for. Usually they also supply insurance and you have a hassle free air travel. 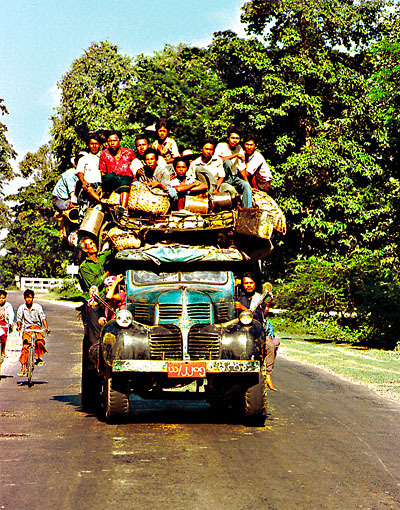 From Bangkok to Yangon a trip for some days with fun and shopping and before starting it needs some travel gear first such as Air Travel Bags Laggage otherwise no comfortable travel. Go Myanmar online shopping. 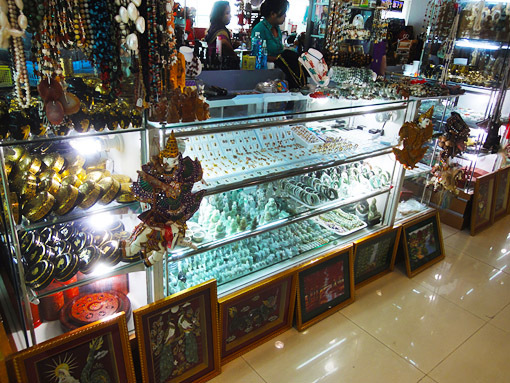 On of the best places for shopping in Myanmar for unique designs and rather reasonable prices are the Yangon Airport duty free shops. They are rather a bit expensive relative to the Bogyoke Market Prices but still much lower than Bangkok and Singapore Changi Airport. In the last few years the flights from China increased dramatically it's very similar to Cambodia also in terms of online services. If you haven't been in Myanmar yet you better do it soon since the Chinese are flooding the region and that goes mainly through this two main airports which are Yangon and Mandalay since the road where they smuggled jade is less than lousy. Almost all road destinations are still in the British colonial times conditions. Here are also some news about the international part of the new terminal and a arriving at Yangon Airport Clip. 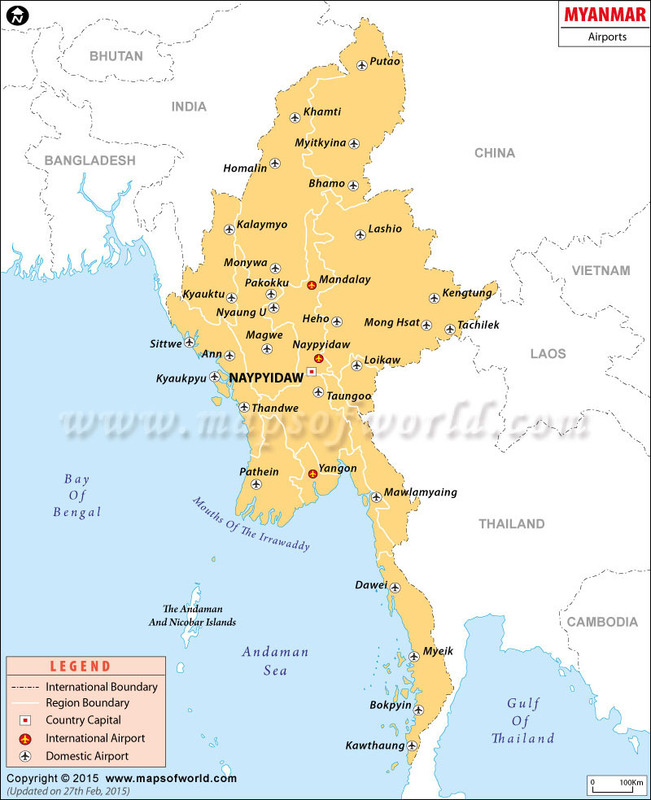 In our website you can find tons of information about Myanmar Yangon and elsewhere. For the next country to travel which is probably Thailand information is here plus some other status of destinations. For a comprehensive list on hotel destinations please use the the hotel booking on the right side. Note that there is no use to stay overnight in the airport hotel since that is really a dead end. This has to do with the visa and the fact that some people making money with it to create artificial problems which can be eased by the visa handling means money. Also they have the problem that all embassies run from the funds the visas are creating. This is blocking any further tourism on the other hand e.g. in south of Myanmar they were not able to build even one good beach resort in the last ten years. When you are leaving Yangon Airport for Bangkok or Singapore and any money left use it here don't buy at the destination since they will milk you like a cow. Especially in Bangkok Airport as a "farang" you are considered as a "lame turtle" free for looting. Here is a domestic flight schedule for 2017 but it might change from time to time. Typically there is one beach resort on an island just adjacent to Kawthaung because the government is not capable to implement the necessary legal framework. 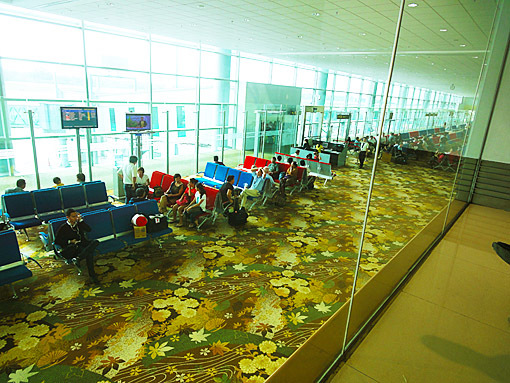 Kawthaung has an airport but again is not capable to be used because it needs first a visa from outside the country and the next place to do that is Bangkok's Don Mueng Airport. The people who govern this beautiful country rather travel around in the region and begging for investment although there is enough money in the country to make investment. But it needs a legal framework and much less corruption which must come from the government but again they do nothing. Since also almost no infrastructure is built up yet (due to an obviously incompetent government). But the private service and business is quickly developing up to date. When traveling to Myanmar wear good shoes, this is not a joke because the infrastructure is one of the worst of any country in the world. Yangon Airport Arrival Departure Duty Free. If you intend to buy some duty free items do it here forget Singapore and Bangkok for purchasing anything since they are very overpriced. The Myanmar duty free still is what the name indicates in the other two indicated place here all goods are much more expensive compared to the normal prices downtown so there is no reason to buy anything. A good indication is the owner of the duty free in Thailand. He very quickly accumulated millions with totally overpriced goods to buy the Leicester City football club in England so? 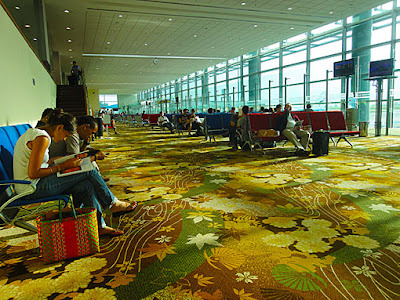 Other airport destination in Myanmar? 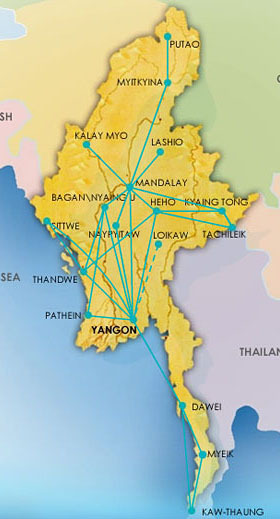 Land and fly away from international destinations in Yangon and Mandalay only. From Mandalay they depart to Bangkok and sometimes to Chiang Mai in Thailand all other connections are via Yangon. But this is slowly changing because now it is possible to cross the land border in and out with a regular tourist visa and they also improved the visa handling at the airport in 2016. 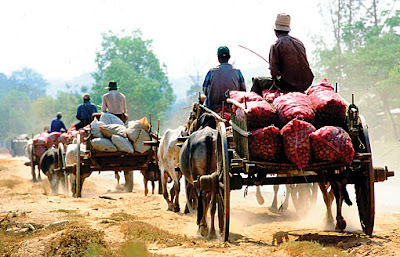 Myanmar's are not very keen to work together everyone wants to "cook his / her soup" to benefit. It is very similar to Thailand where everyone struggles against the other to carve out his / her very own niche to gain benefit. Departure for arrival in Thailand. Departure for arrival in Thailand is a smooth procedure with normally no major problem. If you have any duty free requirement buy the stuff in Myanmar they are quite cheaper than Bangkok or Singapore. Especially in Bangkok Airport they milk the tourist with all possible tricks in Singapore it's not much different but at least there is some added value and sales people are educated. In Thailand it's really "hit and run". 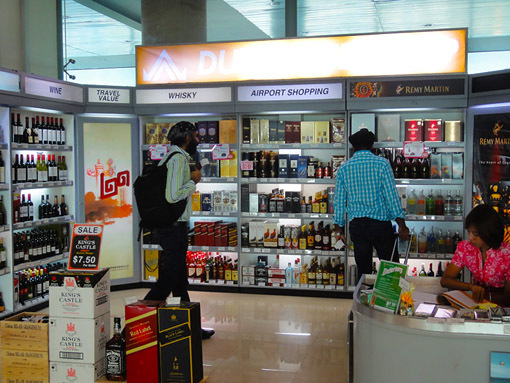 The Bangkok duty free is owned by a front-end company which also owns the Leicester Football Club and behind the front-end is a Dubai and China registered company owned by the former PM Shinawatra.